An exciting line-up of inspiring speakers and fun activities is waiting for you at Sun Peaks, BC from May 2nd to 5th. 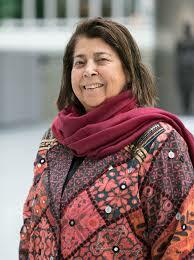 Razia Jan, Founder of Razia's Ray of Hope Foundation, will speak about "Empowering girls and women in Afghanistan". A CNN Top 10 Hero Award recipient and long-time Rotarian, Razia opened a school for girls in Afghanistan at a time when the prevailing social currents did not look favourably on educating girls. Razia is speaking on Saturday, May 4th at 10:40 a.m.